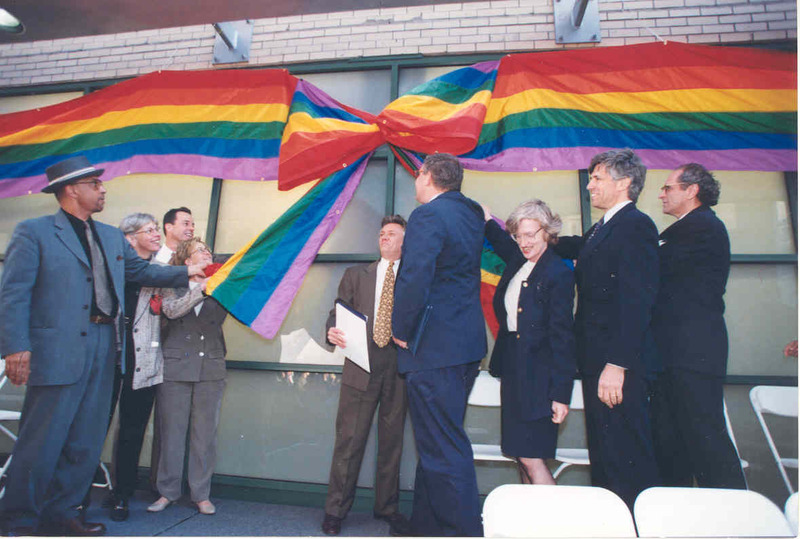 This section features products originally available through the Primary Care Innovation Network (PCIN), which was made possible by generous funding from the New York Community Trust with additional support from AIDS United. 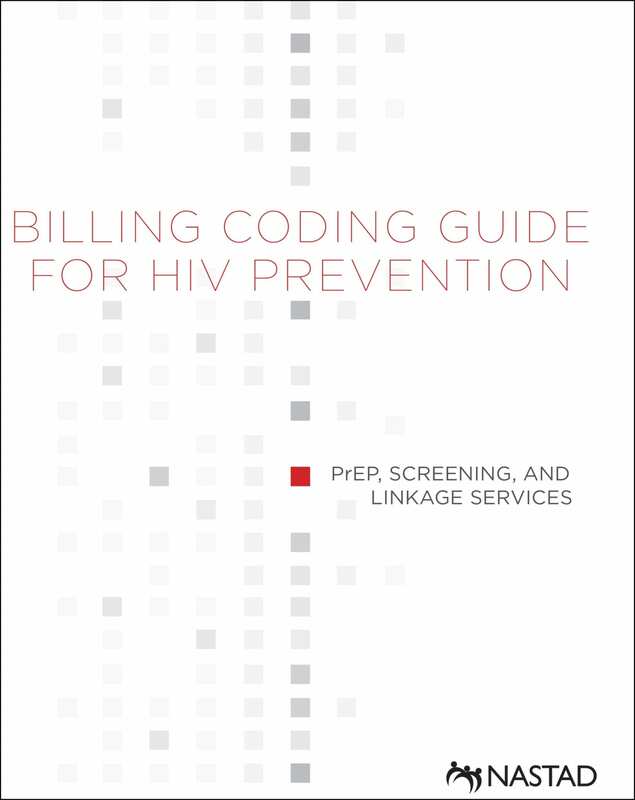 This guide describes the procedure and diagnosis codes that are accepted by public and private insurance, along with specific requirements for some Current Procedural Terminology (CPT®) billing codes. 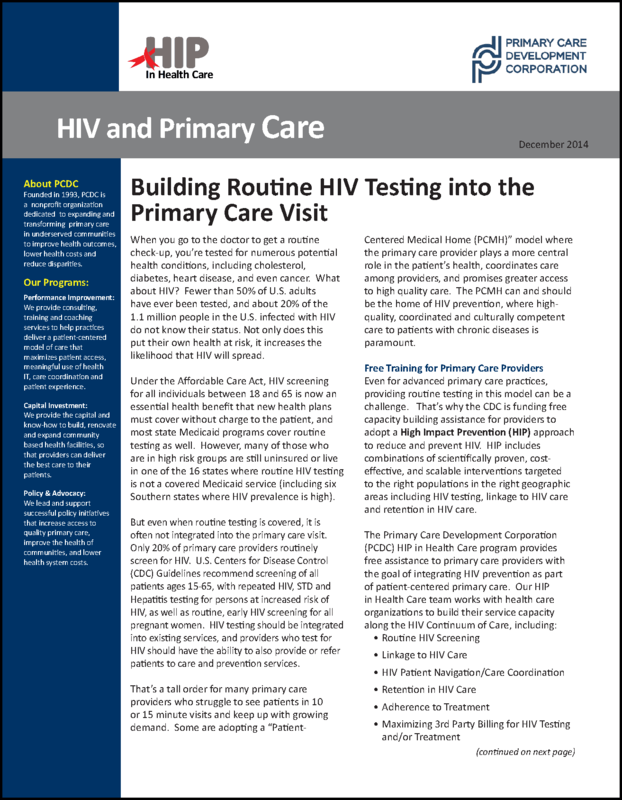 This brief, developed by PCDC's HIP in Health Care team, discusses the importance of including HIV testing in the primary care visit and how PCDC can help practices do it. 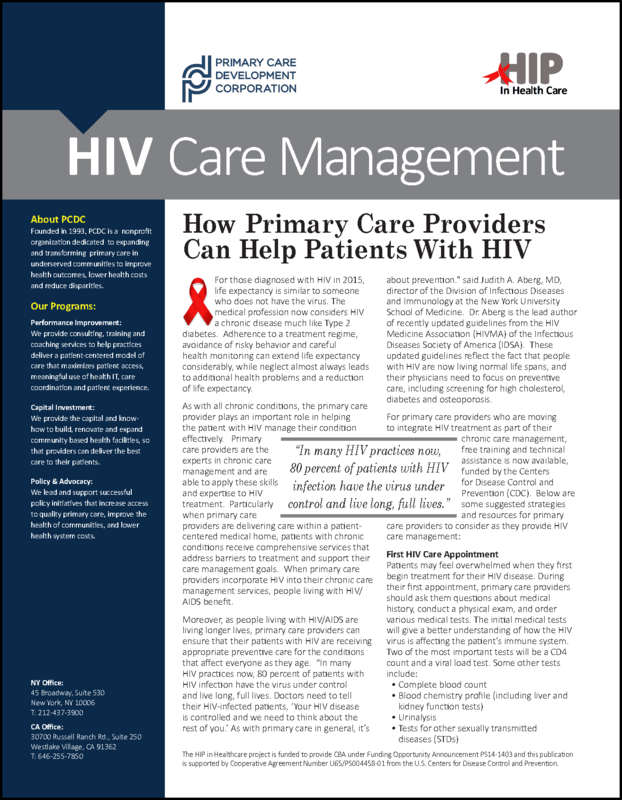 This brief is designed to help primary care providers looking to integrate HIV care, by providing overviews of key topics and tips for implementation. A guide for Community Health Workers about mental health and substance abuse to support clients making positive change. 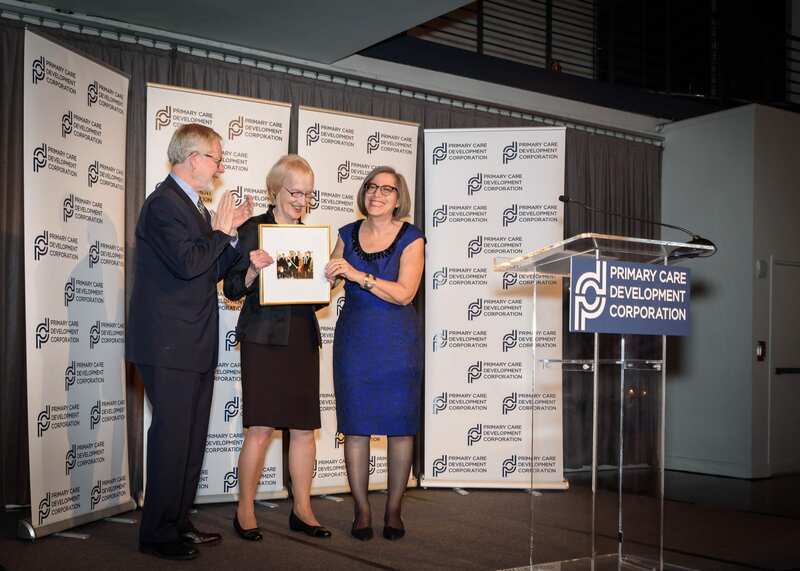 This tool can help DSRIP Performing Provider Systems and technical assistance providers assess a primary care practice’s readiness to participate in a DSRIP project. 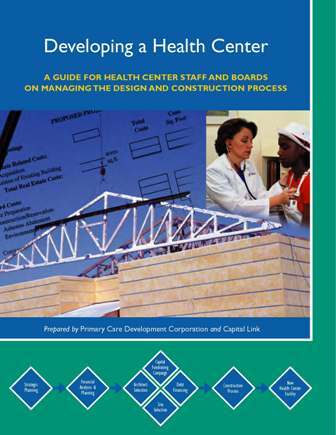 This manual gives you the tools to help you select a project manager and outlines what he or she should do. It also explains how to set up the systems that will keep you on top of your project until it's done. 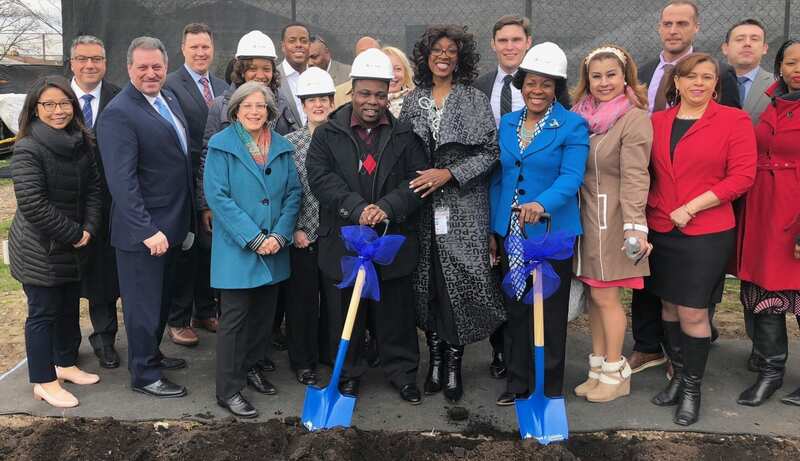 This checklist consists of no- or low-cost sustainable principles for implementation into health center expansions and renovations. 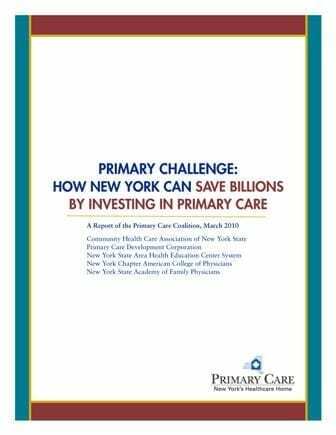 This report finds that New York's families, businesses, and government could save $10 billion annually by reducing hospitalization rates to the national average, and by reducing non-emergency ER usage.